West Concord, or "WeCo," now offers one-stop shopping for the new homeowner, remodeler and do-it-yourselfer. While some businesses such as Phillips Fine Paint and Design, Forever Tile and Lawless Upholstery have anchored the town for many years, a number of new business have recently opened that significantly add to the mix. Many of them are decidedly environmentally friendly. Phillips, which offers non-toxic products such as Vermont Natural Coatings, also offers design services and upholstery workshops. Green Design Group, which recently opened above Lawless Upholstery, provides eco-friendly design services for home interiors and cabinetry. The Natural Home will be opening its showroom in October, specializing in non-toxic locally made kitchen cabinets, as well as healthy flooring and upholstered furniture. CF Construction recently opened a showroom in Enclave’s former space, displaying custom built-ins as well as cabinets, countertops, etc. Their services include new home construction as well as remodeling, additions and custom cabinetry. Several other home-related businesses have opened in the cluster of buildings known as 152 Commonwealth that includes Nashoba Bakery. 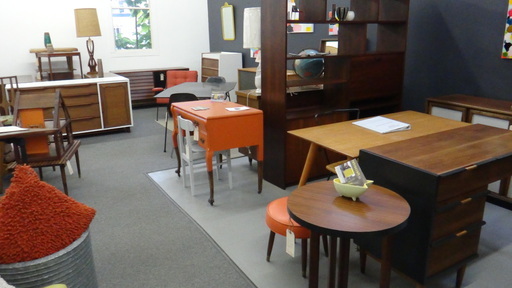 Retrocraft Design has a showroom and studio featuring re-envisioned vintage pieces, focusing on the mid-century. Retrocraft also offers custom services to help clients modernize classic pieces. Also in the same complex, Bridget Byrne of Byrne Restoration uses environmentally safe products to professionally restores furniture of all kinds, including cane and rush seating. At the end of the alley, one can view a model structure built by Inriver Retreats which is a new venture creating small structures that could serve as an extra guest room, yoga or art studio. 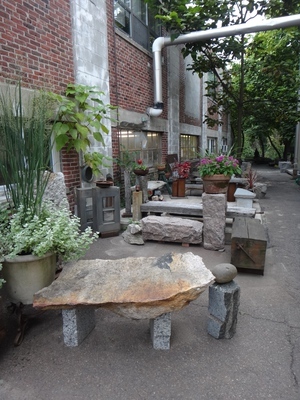 At the same location, you will find Inspired Stones with an outdoor showroom featuring benches and tables from reclaimed stone, wood and iron. Above Nashoba Bakery, Marianne Lesko, who operated Enclave for many years in West Concord, has launched Enclave Environment to focus on her interior design business. Other furniture retailers in West Concord include New Leaf which features redesigned and consigned furniture, and Rare Elements in the Bradford Mill which features a curated collection of unique pieces both historical and modern. Lisa Berland with her co-partner and sister Laura Berland Wyman started Retrocraft Design several years ago, utilizing their backgrounds in fine art to bring classic and mid century furniture to the modern home.